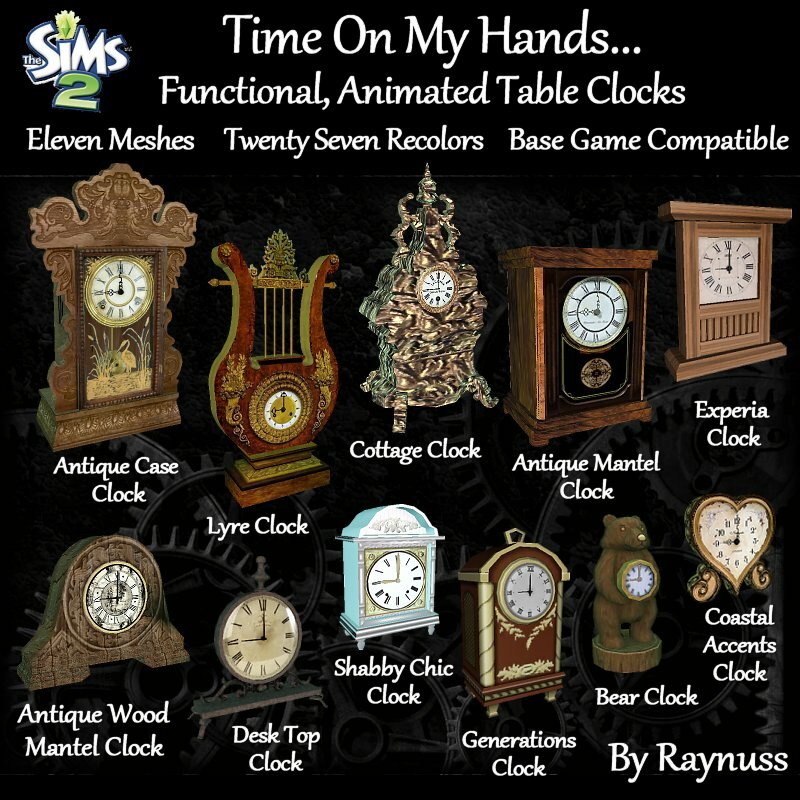 Description: A set of vintage style animated clocks that show current sim time. 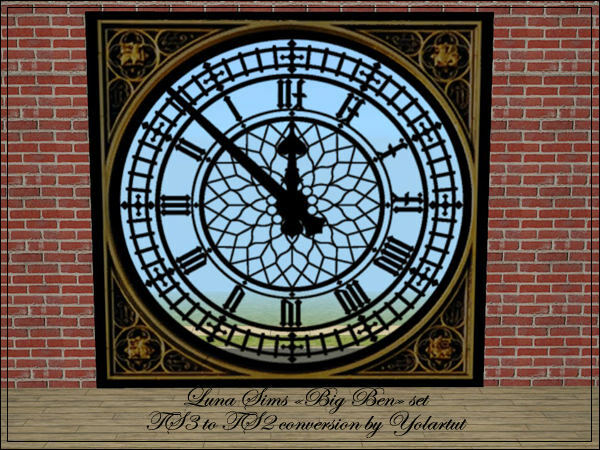 Description: A conversion of LunaSims' Big Ben clock. 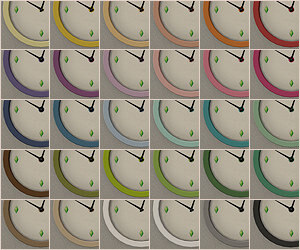 Description: Clocks in many colours.